It is not only what I do; it is who I am. 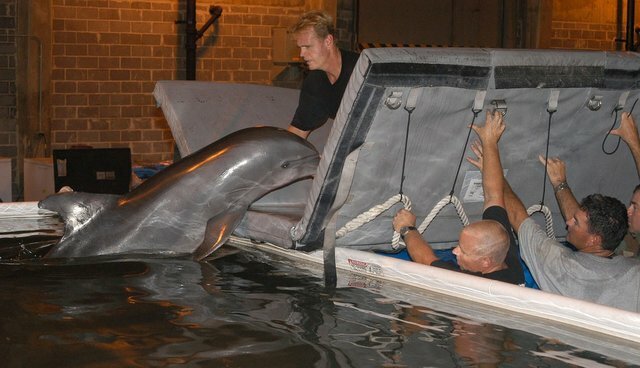 As a marine mammal rescuer for more than 20 years, it has been my job to respond to live stranded dolphins, provide care, and try to release healthy animals back to the wild. At the same time, I am also a scientist. I work with our team to determine why they have stranded. Is it disease? Some type of human interference? A degrading habitat? Marine mammals, dolphins, whales and seals, are federally protected species. The American people have expressed their desire to protect these animals, and our government listened by enacting the Marine Mammal Protection Act (MMPA) in 1972. It is the job of the National Oceanic and Atmospheric Administration (NOAA) to fulfill this mission. But the truth is, it is a huge undertaking - one that exceeds the capacity of this agency. So, since its inception, the MMPA stranding provision has been addressed through a partnership of many small, mostly non-profit organizations that have served as the teams on the ground responding on behalf of NOAA - helping animals and collecting data. In 2000, NOAA recognized the great value of the work being done and established the John H. Prescott Marine Mammal Rescue Assistance Grant Program to help defray a portion of the cost to do this work. Since its inception, the program has provided over $45 million in support, and the response organizations have provided matching funds of almost $16 million, thus increasing the impact of this program. Over the last several years, however, Congress and NOAA have chipped away at this grant fund, leaving the response teams and investigators with little to no support. 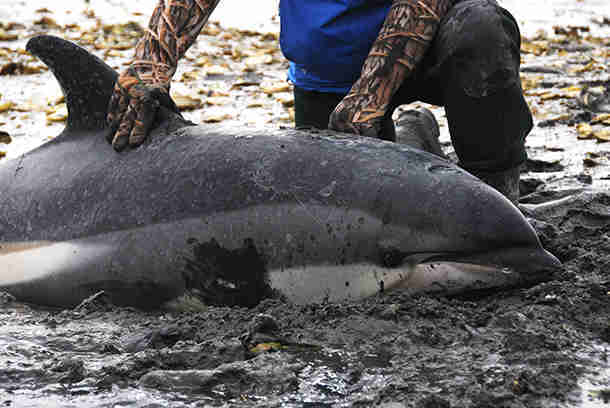 Federal grant support for marine mammal stranding response has been cut by almost 73 percent since 2000. Still, we struggle on, fulfilling NOAA's own mandate at our own expense ... because it is the right thing to do. But the reality is that many of these small organizations can no longer support the level of work required by new NOAA guidelines and requests. Stranded animals will not be cared for in some areas. The data NOAA policy makers need to manage these populations will not be collected. The consequences will impact not only the dolphins, whales and seals, but all of us who depend on a healthy ocean for recreation, food, and our livelihoods. These same cuts can also endanger people's lives. When there are no trained, authorized responders, well-meaning members of the public often take matters into their own hands, putting themselves at risk for wounds and the transmission of zoonotic diseases. Please urge your US Senators and Representative to restore funding for the Prescott Grant Program, so that this vital rescue work can continue.